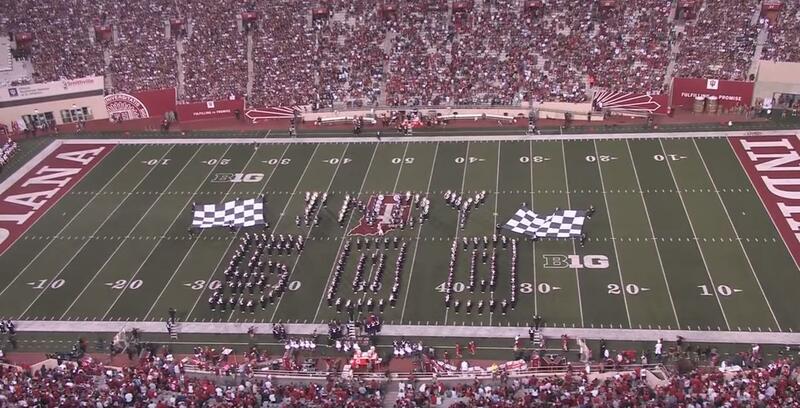 The Ohio State Marching Band traveled to Indiana this past Thursday for their big season opener. It was only natural for them to take their famous moving picture formations with them and wow the Indiana fans as they salute the Indy 500. The Indy 500 is a very big deal in the state on Indiana which draws the Purdue All-American Marching Band each year to march in the annual parade. You'll notice that the band makes two cars and one of them is an Ohio State car while the other is a Purdue car. The Ohio State car wins the race while the Purdue car blows a tire. The Indiana fans enjoyed that fun jab at their B1G in state rival. Watch as TBDBITL dazzles fans with recognizable formations from the big race.